The National Audit Office (NAO) has criticised the Government Digital Service (GDS) over its approach to calculating IT savings made by the current government. The NAO report looked at savings methods made by the government’s Efficiency and Reform Group (ERG) between 2013 and 2014. It pointed to GDS as an area where the ERG could improve. In terms of savings, GDS was separated into two categories: one that covered savings from IT contract controls and wider issues over introducing new technology approaches, and the second, which covered GDS’s transformation strategy. It was the first category, which includes GDS’s approach to introducing tighter controls over IT contract values, that was scrutinised by the NAO. 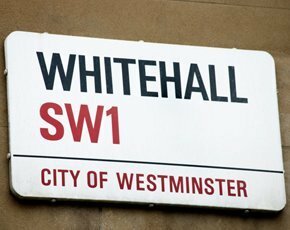 Part of the Cabinet Office the ERG – which includes GDS, the Major Projects Authority (MPA) and other categories of savings – exists to help spending departments achieve cost reductions. In June 2014, it reported that a total £14.3bn of savings had been achieved for 2013-14, of which £200m came from digital. According to the NAO report, the method used to calculate savings by GDS was inconsistent and the claimed savings had weaknesses, which has led to GDS changing its savings figures. The report highlighted uncertainty where savings evidence was over a year old, and also where it wasn’t clear whether savings resulted after cancelling particular activity or from the continuation of activity. GDS has now reduced its total savings figure to £91m, but it is not known what the original figure is, and the NAO wasn’t able to provide this information upon request. The report also said the GDS had inconsistency issues in 2012-13, and has not learnt from previous mistakes. The NAO said GDS transformation was an area where the savings processes were deemed strong. GDS transformation covers savings of over £60m in 2013 to 14 through the building of a new single GOV.UK website, as well as over £40m being been saved by DWP in 2013 to 14 through reducing the total cost of their Identity Assurance services. Additionally, working with departments to help digital transformation has resulted in £5m of savings from the Department of Energy and Climate Change, £4m from the Electoral Registration and £5m from the Driver and Vehicle Licensing Agency.